Whitehorse, YT, Canada is the capital city of the Yukon Territories, Canada. The community is a transportation, service and commercial centre situated on the banks of the Yukon River on the Alaska Highway. 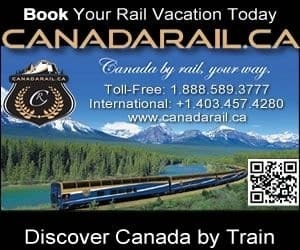 Top things to do, attractions, adventures and activities enjoyed in Whitehorse, Yukon Territories, Canada are canoeing, fishing, golfing, boating, horseback riding, rafting, kayaking, birdwatching, hiking, SUP, mountain biking, Aurora Borealis, canyoning, cross country skiing, snowmobiling, ice fishing, ice climbing, and dog sledding. There are over 800 kilometres of recreation trails exploring the region. The best activity and adventure destinations located in Whitehorse, Yukon Territories are Long Lake, Chadden Lake, Chadburn Lake, Teegatha-oh-zheh Park, Miles Canyon, Yukon Suspension Bridge, Bennett Beach, Wolf Creek Trail, Millennium Walkway, Porter Creek Trails, Yukon Wildlife Preserve, Yukon River Loop, Grey Mountain, Schwatka Lake, Rotary Peace Park and the Hidden Lakes. What are the Accommodations, Services and Amenities in Whitehorse, YT? Important services and amenities for travelers when exploring in and around Whitehorse, YT, Canada are accommodations (cottages, hotels, motels, inns, bed and breakfasts (B&Bs), vacation homes, hostels), campgrounds, tours, guides, outfitters, attractions, restaurants, laundromat, coffee shops, grocery stores, pubs, liquor store, banks, gas station, brewery, gift stores, nightclubs, and internet service. The best places for travellers to enjoy history and culture in Whitehorse, Yukon Territories, Canada is at the MacBride Museum, Whitehorse Train Station, SS Klondike Historic Site, the Ernie Tweed House, Yukon Beringia Interpretive Centre, Caude Hogg House, Yukon Transportation Museum, Kwanlin Dun Cultural Centre, Old Log Church Museum, Yukon Arts Centre, Copperbelt Railway and the Mining Museum. How To Get To Whitehorse Yukon Territories? Vehicle: The main highways in the Yukon Territories which connect to the community of Whitehorse, YT are Highway #1 (Alaska Highway) and Highway #2 (Dawson City, Yukon). Air: The closest international airport is the (YXY) Erik Nielsen Whitehorse International Airport (8 minute drive - 5 kms). Other air transportation to the remote regions of the territory are floatplanes, helicopters and bush planes. eh! Plan to Visit Whitehorse, Yukon today.